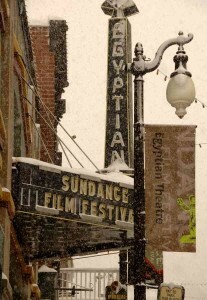 Park City, UT –The 2011 Sundance Film Festival this evening announced the jury prizes in shorts filmmaking and gave honorable mentions based on outstanding achievement and merit. The awards were presented at a ceremony held in Park City, Utah. These award recipients will also be honored at the Festival’s Awards Ceremony hosted by Sundance Alum Tim Blake Nelson on Saturday, January 29. The 2011 Short Film jurors are Barry Jenkins (director, writer, Medicine for Melancholy); Kim Morgan (Film and Culture writer, Sunset Gun, The Hitlist) and Sara Bernstein (Vice president, HBO Documentary films; supervising producer, Baghdad ER, White Light, Black Rain: The Destruction of Hiroshima and Nagasaki). The Jury Prize in Short Filmmaking was awarded to Brick Novax pt 1 and 2 (Director and Screenwriter: Matt Piedmont)— Penniless and now living in a seedy motel with only weeks to live, international super legend Brick Novax records his amazing tales as an astronaut, movie star, corporate CEO, and famous musician to preserve his legacy as the coolest guy in the history of the world. The Jury Prize in International Short Filmmaking was given to Deeper Than Yesterday Australia (Director and Screenwriter: Ariel Kleiman) – After three months submerged underwater in a submarine, the crew have become savages. Oleg, one of the men onboard, fears that losing perspective may mean losing himself. Choke / Canada (Drector and Screenwriter: Michelle Latimer)— Upon leaving his First Nations reserve, Jimmy encounters the lost souls of the city and is reminded that no matter how far you travel, you cannot escape who you are. The External World / Germany, Ireland (Director and Screenwriter: David O’Reilly) – A boy learns to play the piano. The 2011 Sundance Film Festival sponsors include: Presenting Sponsors—Entertainment Weekly, HP, Acura, Sundance Channel and Chase SapphireSM; Leadership Sponsors—Bing™, Canon, DIRECTV, Honda, Southwest Airlines and YouTube™; Sustaining Sponsors—FilterForGood®, a partnership between Brita® and Nalgene®, The Cosmopolitan of Las Vegas, L’Oréal Paris, Stella Artois®, Timberland, and Trident Vitality™. 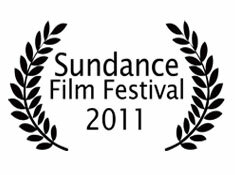 Sundance Institute recognizes critical support from the Utah Governor’s Office of Economic Development, and the State of Utah as Festival Host State. The support of these organizations will defray costs associated with the 10-day Festival and the nonprofit Sundance Institute’s year-round programs for independent film and theatre artists. In return, sponsorship of the preeminent Festival provides these organizations with global exposure, a platform for brand impressions and unique access to Festival attendees.